The constructioneering collaboration with digital co-venturer Topcon extends Bentley Institute’s successful global Academy program for sharing advancements to help user organisations and their supply chains in going digital. Bentley and Topcon are collaborating on the Constructioneering Academy curriculum, which is being implemented through existing Bentley Institute Academy locations and Topcon training centres. Along with also supporting Topcon’s training centres, Bentley Institute’s priorities also include virtualising Constructioneering Academy offerings through universities with leading construction degree programs for new approaches in the construction industry. As one of the largest infrastructure projects in Europe, the London Crossrail has required a different approach when it comes to design and construction. With 42 kilometres of new tunnels being constructed, the project will increase London’s rail system capacity by 10 percent when completed. It has required innovative thinking for its design and delivery, notably the application of building information modelling. Building information modelling – or BIM in layman’s terms – is a shared knowledge resource for asset information that creates a reliable basis for decisions during its complete lifecycle, from design to construction to operations and maintenance. Bentley Systems cites the project as a successful example of BIM methodology in a linear infrastructure application, and the global cloud software services provider and its industry partners are taking the concept to a whole other level. A new partnership between Bentley Systems and Topcon, a leader in position instruments for survey and construction, is facilitating a practical new sub-activity within the wider BIM process. Announced in November 2016, “constructioneering” is the name coined by Bentley for new digitally enabled practices that combine surveying, engineering, and construction workflows to provide new efficiencies in creating affordable, smart, and sustainable infrastructure globally. Users can add value beyond their traditional role in design to include contributions to construction, inspections, and operations. Constructioneering enables engineers to begin working with an accurate 3D model of current construction site conditions, as captured by Topcon’s photogrammetry and laser scanners. This model can then be processed into engineering-ready, 3D reality meshes using Bentley’s ContextCapture. Not only is constructioneering helping automate digital workflows in linear infrastructure project delivery, but it is bringing together project data to be seamlessly shared with machines, operators, designers, engineers, and asset owners. “At its most basic concept, constructioneering is about breaking down the inefficiencies of transferring information between engineers and construction contractors,” explains Dustin Parkman, Vice President, Civil Infrastructure at Bentley Systems. Mr. Parkman says that a large amount of data gathered and used on a project is ‘dumbed down’ when the design is handed over to the next stage, such as from designer to builder, or builder to asset manager or owner. It can mean a lot of rework to ensure that the information and design is accurate and up-to-date. “The reality is that the construction industry today delivers projects based off a sort of 2D construct and design PDF because that’s what’s required. They then recreate the design model for construction and put it into another format for the asset managers, which means there’s a tremendous amount data remediation and rework,” he says. Constructioneering, as a sub-activity in BIM strategies, shares project information through a connected data environment, which can be handed from the designer to constructor to asset managers as one complete package. Constructioneering takes it to another, more practical level. The technology to implement seamless data across document management systems exists, Mr. Parkman explains. It’s just a matter of bringing it together and implementing it across the design, construction, and operation of the asset. 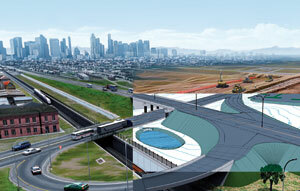 “Constructioneering exists in a lot of instances. We already have technology like photogrammetry – it’s not new, but if we gathered the information on site and put it into a reality mesh model, it’s a way to do things cheaper and more cost-effectively,” Mr. Parkman says. By connecting Topcon’s UAS photogrammetry and laser scanners with Bentley’s 3D reality mesh software, designers and engineers can use the gathered data to create a highly accurate model that can showcase different design scenarios, and at different levels without significant rework when a change is made. Because the data is up-to-date and shared seamlessly between the photogrammetry tools and the cloud software, the engineers can also make accurate and informed decisions on the project’s delivery. 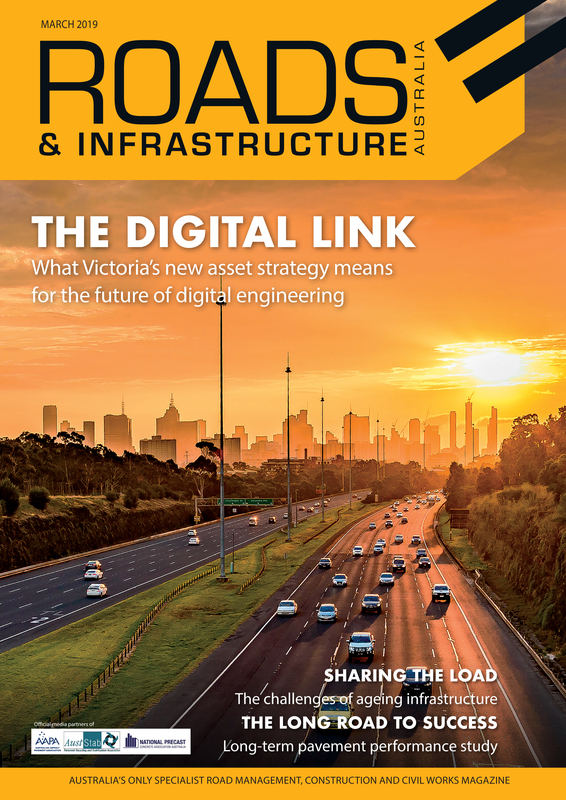 “If you were trying to deliver 14 kilometres of major road construction, you might use a variety of methods, including traditional surveying tools for earthworks and drones for capturing broader site information,” Mr. Parkman explains. “Constructioneering means you’re not restricted to just one method of surveying and you can combine all different types into the one model. Beyond the design of a project, constructioneering applies to the automation and seamless sharing of data to assets on a construction site. The information from the shared model can be used to help inform machine automation, as well as when and where a specific machine needs to undertake a part of the project. In addition, the connectivity between the model and the assets on site means the project designers and constructors have a clear and accurate design of the project in real-time. “Things like machine learning and predictive analytics provide real added value here and that’s where Topcon’s innovation comes into the equation,” Mr. Parkman says. The 3D constructible model can be sent to an active project site for design location and quality checks during the construction process. Through its seamless connection of data and workflows, constructioneering gives all stakeholders more transparency through the different design phases. “Today, when models are done with 3D-based workflows, most people don’t understand that information or data, unlike engineers or contractors. It’s not in context,” Mr. Parkman says. “Through constructioneering, you can plan different scenarios in the concept phase and it gives everyone who has a stake in the project the ability to have input and understand what’s going on.” It includes everyone from the asset owners through the end users for stakeholder and public engagement purposes. “For an owner, there are questions on return on investment for tax payers – are the contractors achieving the return you asked for? To measure it today is a difficult process. By connecting data along infrastructure, you have the digital journey of what has been achieved and the future course of the project,” Mr. Parkman says. With a connected and real-time data environment across the entire project, stakeholders can look at the project and ask why something in the design may have changed. To facilitate the possibilities that constructioneering may bring to the global infrastructure sector, Bentley Systems, Bentley Institute and Topcon collaborate for the Constructioneering Academy this year. Mr. Parkman says the Academy – implemented through existing learning centres in Livermore, California; Houston, Texas; and London, UK – is intended to bring asset and project owners, engineering firms, and contractors together to showcase the benefits of connected and seamless workflows. After developing and launching constructioneering technology, Mr. Parkman says that the academy is “putting rubber to the road” and putting these technologies and innovations to practice by giving them real-world construction scenarios through courses and presentations. “It’s about breaking down barriers of thinking about traditional engineering construction contracts,” Mr. Parkman states. “Designers, engineers, and asset managers all work together to an extent, but they are still very siloed. The academy is a chance for us to show them what the possibilities are through constructioneering, but it also gives us the capability to listen to them. Mr. Parkman says that, as new infrastructure demands increase and new challenges arise, the conversations between these various parties needs to happen. “At the moment, we’re building lots of new infrastructure and we need to have these conversations going forward. We need to largely diversify the way we undertake project contracts and start to change the landscape of how projects are executed. In Australia, Dave Body, Senior Industry Strategy Manager at Bentley Systems, says constructioneering and the Bentley Institute Constructioneering Academy create several possibilities for infrastructure project delivery, particularly in the face of the challenges industry faces today. The industry’s desire to innovate is there, asserts Mr. Body, and now is a pivotal time for processes like constructioneering to come to the fore. For Australia, Mr. Body says several automated and connected workflows already exist in the mining industry, and the construction and linear infrastructure sectors can take a leaf out of the mining sector’s book, especially in remote regions. Mr. Body says Australian Topcon distributor Position Partners is a significant part of the constructioneering story for Australia. Mr. Body says that Bentley Systems and Topcon are looking at a pilot constructioneering project in Australia, and has had one major construction firm express interest in using the approach to capture equipment processes and earthworks movement in real time, leveraging that data for decision making. “We could look at what happened on a project site on a particular day and use the information to figure out why we were less or more productive on site,” he says. “There are a number of variables to include, but being able to manage and monitor that data opens up a lot of possibilities,” he says.